Christian Develter / the Aviary Hotel February 2017 Siem Reap. Budweiser China / Develter Immersive Halloween Night Shanghai. Ken Hom my stir-fried life book launch 29 September 2016 London. "The Passage of Thai Fabric" a Tribute to Her Majesty the Queen of Thailand. 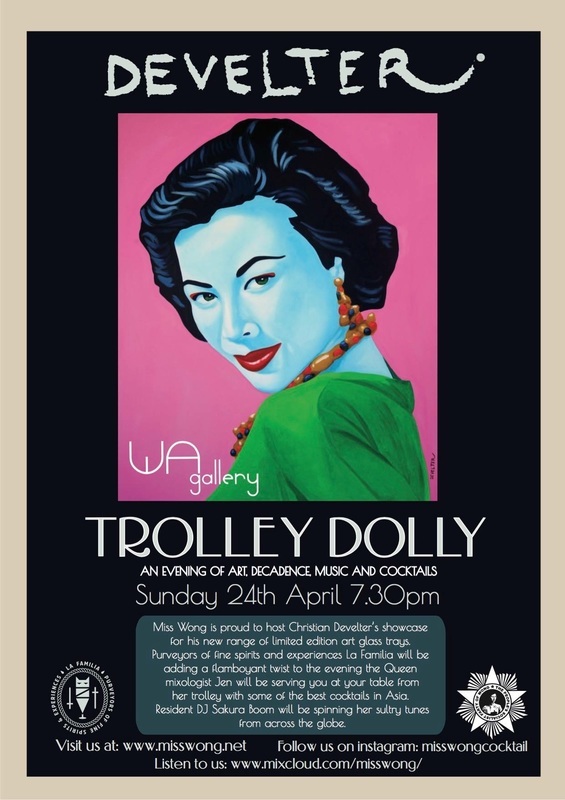 Miss Wong Trolley Dolly Event.